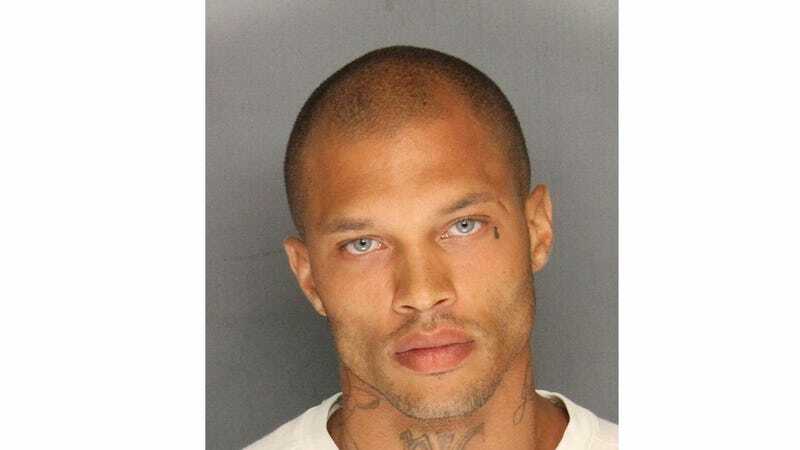 After stunning the world with his good looks, Jeremy Meeks has gotten himself a representative to help him turn his 15 minutes of fame into a new career. He's hired Gina Rodriguez, the PR rep for Farrah Abraham, Tan Mom and many other celebrities who try to cling tight to their surprising popularity for as long as possible. Rodriguez told FOX411 that because we "don't know Jeremy's full story yet" and because he hasn't had "a fair break," she's taken it upon herself to help him. Meeks is currently being held in jail on a $1.1 million bail for charges related to alleged gang activity, firearm possession and violating his parole; he was previously incarcerated for two years for grand theft. Rodriguez's goal is to get Meeks modeling contracts and perhaps a reality TV gig so that when he gets out of jail, he'll have options. TMZ claims that Meeks is "taking this 'I'm a model' thing a little too seriously," as his lawyer has asked that he be allowed to "wear civilian clothing that is fitting for his body structure" when he heads to court. But the good will for Meeks seems to have slowed in the past few days. After giving that interview, Rodriguez has since told CNN that she's been harassed for her decision to hire Meeks – her office has even received one death threat. "This is a clear sign of the impending apocalypse," Los Angeles criminal defense attorney and host of Investigation Discovery's "Deadly Sins" Darren Kavinoky told FOX411 of Meeks landing a Hollywood agent. Not to overstate the case or anything.